A vacation in Bolton Landing on Lake George is the perfect destination for a lot of activities – tanning at the beach, boating on the water, hiking mountains, and more. This lakeside town is also a great destination for antiquing! Two shops in Bolton Landing invite collectors to inspect their goods and hopefully find an antique worth taking home. 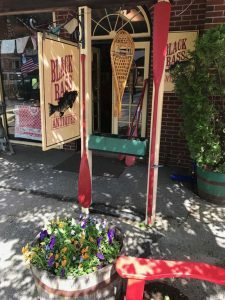 Black Bass Antiques sits in the heart of Bolton Landing, next to Mrs. Whizzy Fizz Popp’s and Trees Adirondack Gifts & Books. Some of the stunning items carried by Black Bass Antiques include original art, North Country decor, antique fishing tackle and baits, Adirondack wildlife mounts, working and decorative decoys, vintage outboard motors, an authentic Adirondack guide boat, and much more. The constantly changing inventory makes this antique shop a must-stop shop for homeowners or visitors searching for that perfect piece of Adirondack art or decor. Black Bass even offers item and collection appraisals. If you’re in the hunt for a classic piece of the Adirondacks, make sure you stop and say hello at Black Bass Antiques. Perched just outside of town, Sumptuous Settings Antiques boasts itself the largest single-owner antique shop in the Northeast. This antique shop is held in a building that was known as Villa Maria Antoinette, a French chateau-style gatehouse for a large and elegant mansion on the shores of Lake George.They specialize in fine antique china, chandeliers, elegant furnishings, fine crystal glassware, vintage architectural pieces, and more. 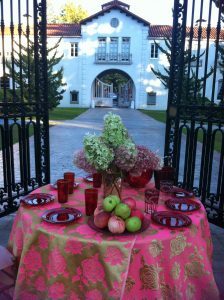 Every piece added to Sumptuous Settings’ collection has been vetted with a fine eye for good taste and elegance. Schedule some time at Sumptuous Settings if you’re in search of an exceptional piece for your home. Do you ever purchase antiques in Bolton Landing on Lake George?